Hazy gold color. Aromas of meyer lemon curd, bubblegum, buttered grits, artisan cola, and dried mango with a satiny, finely carbonated, fruity medium body and a peppery, interesting, medium-length lemon bar, carrot cake, and oregano focaccia finish. A lengthy Abbey ale that presents a wide array of flavors to the curious drinker. 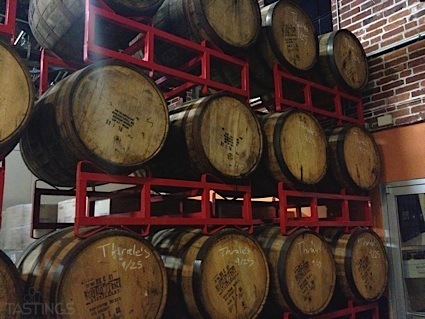 Bottom Line: A lengthy Abbey ale that presents a wide array of flavors to the curious drinker. 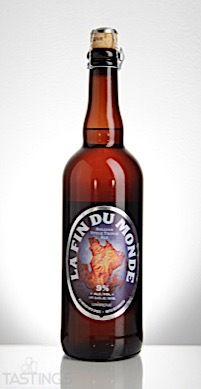 Unibroue La Fin du Monde Belgian-Style Triple Ale rating was calculated by tastings.com to be 94 points out of 100 on 8/14/2018. Please note that MSRP may have changed since the date of our review.